Traveling to far-off destinations and exotic locales with the kids can be an amazing experience. 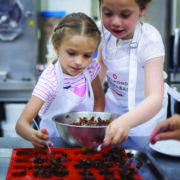 Introduce them to new cultures and traditions, broadening their horizons while providing an opportune time for family bonding. One destination that provides endless natural beauty, historic allure and vibrant culture sure to impress the family is Morocco. 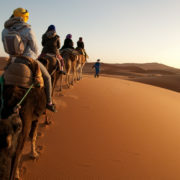 The Northern African country offers an eclectic blend of European and Arabian cultures as well as incredible coastal views, ancient ruins, medieval architecture and unforgettable family-friendly activities. 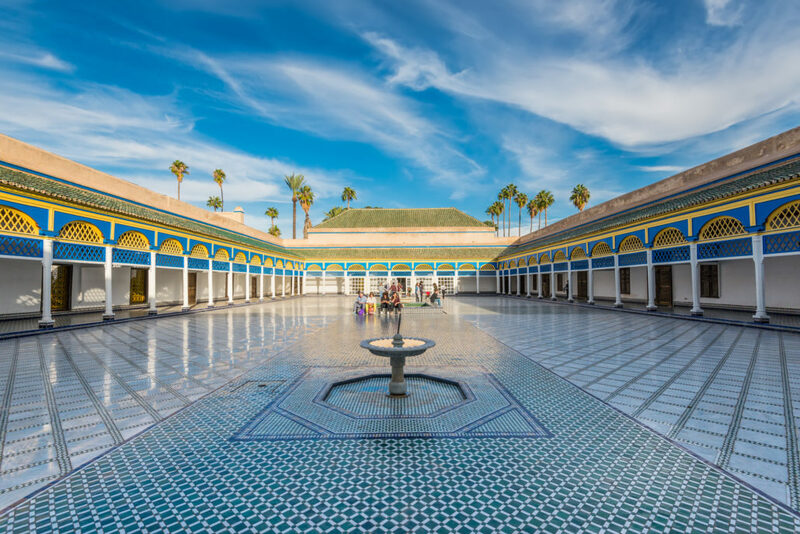 Begin with a visit to Marrakech, once an imperial city of Morocco, showcasing lush palace gardens, impressive mosques and bustling market places. Shop, dine and explore the stylish city with the kids and elevate your next family trip abroad. 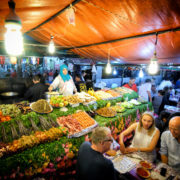 One obligatory stop on any trip to Morocco is a market place. Check out local goods from pottery and textiles to glass lanterns and jewelry among the hustle and bustle of Jemaa el-Fnaa. The public square boasts live entertainment, local merchants and bargaining. 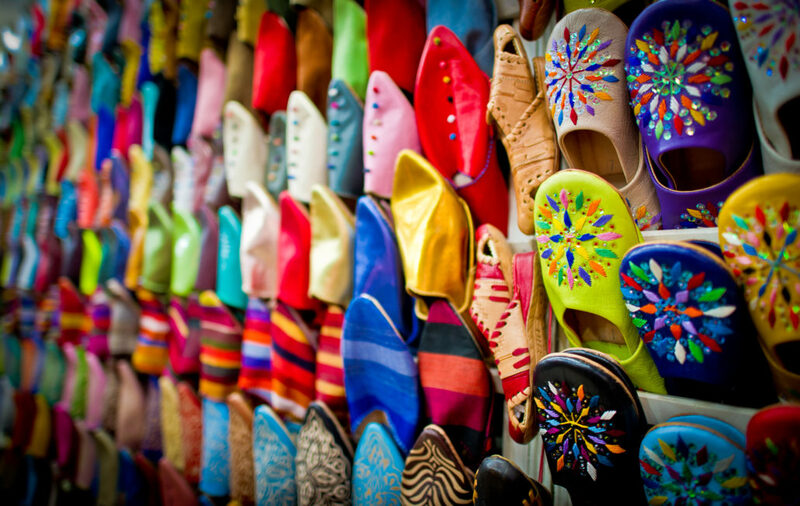 The open-air market is also a historic landmark and an idyllic stop on your trip to Morocco. 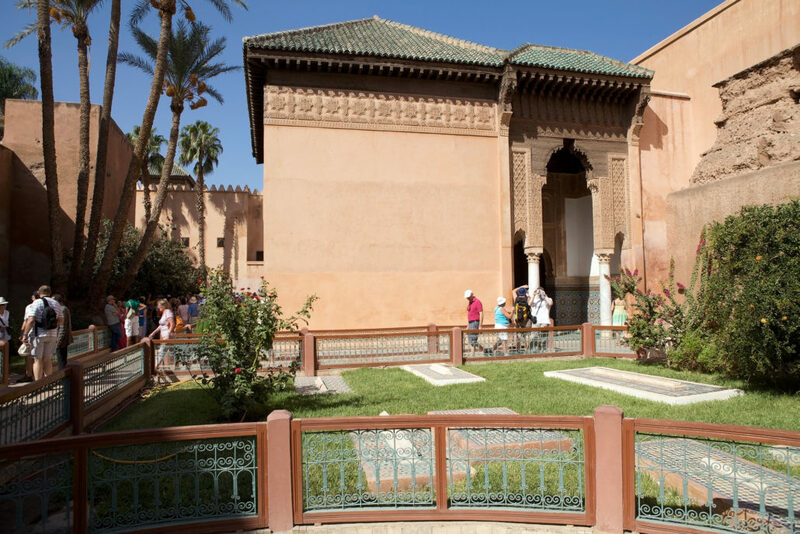 The Saadian tombs date back to the time of the Saadian dynasty of Sultan, Ahmad al-Mansur. Discovered in 1917, the ancient tombs were renovated by the Beaux-arts service and contain the remains of both Ahmad al-Mansur and his father, Mohammed ash-Sheikh. Take a tour of the grounds and learn all about the ancient dynasty. Begin with a tour through Menara Gardens, a botanical garden located west of Marrakech, Morocco, at the foot of the Atlas Mountains. Established in the 12th century by the Almohad Caliphate ruler Abd al-Mu’min, Menara offers panoramic views and incredible natural beauty. Take a family stroll through the magical gardens of Majorelle in Rue Yves Saint Laurent — one name your fashion-obsessed teens may know. With more than two acres of pristine botanical gardens, Majorelle is considered a work of art as well as a museum — perfect for nature and art lovers traveling through Marrakech. This 19th-century palace is a must-visit for any architecture fans and history buffs in the family. Stroll through the gardens and beautiful building to understand why the name Bahia means brilliance. The Palmeraie is a desert oasis covered with palm trees and roaming camels, situated at the edge of the city’s northern section. The oasis covers 54 miles and is riddled with quintessential Moroccan landscape and incredible resorts and palaces.